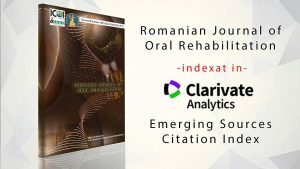 Aim of the study: The main reason of the present study is to analyze and record the evolution of two revolutionary methods in dental medicine with which endodontic treatments can be performed as well as the evaluation of their quality that appeared in the last twenty years. 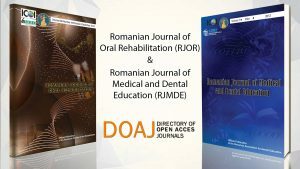 Materials and Methods: An electronic search was done on Research Gate, Science Direct and PubMed using terms about modern endodontic treatments between 1990 and 2019. Every article containing the terms of interest has been read carefully and selected according to its importance in this article. Terms used for search included: Endoscopy; Tooth Anatomy; Optical Coherence Tomography; Magnification in Dental Medicine; Diagnostics in Dental Medicine; Cariology; Restorative dentistry; Endodontics; Pedodontic; Prosthetics; Periodontology. Results: Studies have shown that technology is constantly growing in the field o dentistry, bringing new results every year, improved for the diagnosis, evaluation and treatment of dental injuries. Looking at the presented study, we can see the history and applicability of a new method of magnification, namely the use of the endoscope that tends to replace the endodontic microscope which, in the case of a curved canal root, it is often impossible to explore the details of the root canal. Also, current imaging methods commonly used in endodontics which are often two-dimensional images with high doses of radiation have an alternative non-invasive version to obtain three-dimensional imaging, namely, the optical coherence tomography (OCT). Conclusions: The endoscope can be used as an alternative to the endodontic microscope with the advantage of providing real three-dimensional images of the endodontic space even beyond the root canal curves. Optical Coherence Tomography is a very important tool that can be used to establish endodontic diagnoses and also to evaluate endodontic treatments.